Getting a car ready for winter is something every car owner in a cold climate needs to do before the snow flies. Often, customers don’t realize how important it is to winterize their cars. 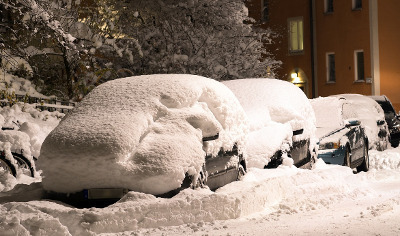 This guide will help you educate your customers about winterizing their cars. The more they know about this topic, the more likely they will let you help them get their cars ready for winter. When a customer brings their car in for an unrelated service or repair, remind them that winter is right around the corner. Don’t assume they’re aware of what should be done and they just don’t want to do it. Most car owners just don’t know much about their cars. Take a moment to educate them about what could happen if they don’t winterize their car. Many of them will order the necessary services to help their car combat winter. Another way to educate your customers about the importance of winterizing their cars is to hang a sign in a visible location. List of all the services needed to thoroughly winterize a car, and include a quick bullet-pointed list of the dangers of not preparing a car for winter. Customers will be more inclined to have their car winterized at your shop if you offer them an incentive. We recommend putting together a package deal at a discounted price. This type of incentive is successful because customers like all-in-one deals. Package deals save them money and the trouble of figuring out all the things that need to be done. You really only need one of these in stock. The intention isn’t to sell the kit. The kit is a promotional tool to get people to think about the reality of not winterizing their car. By offering to winterize their cars, you’re showing your customers that their safety is important to you. This helps establish a relationship between you and the customer, and it helps build customer loyalty.